Waiting To Pick Your Baby's Name Raises The Risk For Medical Mistakes : Shots - Health News If parents don't have a name teed up, hospitals often give babies temporary ones, like Babygirl. But those generic names can be dangerously confusing, especially in the neonatal intensive care unit. Hands holding one week old baby boy. Some parents pick out a name for their child as soon as the pregnancy test turns positive. For others, the choice of a name is a game-time decision, taking minutes, hours or even a day or two after birth. My own baby went unnamed for about 20 minutes as my husband and I tried to figure out which of our top choices best fit her screamy little face. Hospitals, however, have to put an identification bracelet on the baby ASAP. Most resort to generic names based on the mom's last name, like Babygirl Hobson. And once the infant is in the system with that name, it's often locked in until discharge, even after the parents pick a permanent one. That convention, say the authors of a paper published Monday in the journal Pediatrics, is a problem. The researchers believe that those widely used nondistinctive names increase the risk of mistakenly giving a treatment to the wrong patient. That's especially a fear if the newborn is one of the 12 percent that ends up in the neonatal intensive care unit, given the complexity and high stakes of that environment. 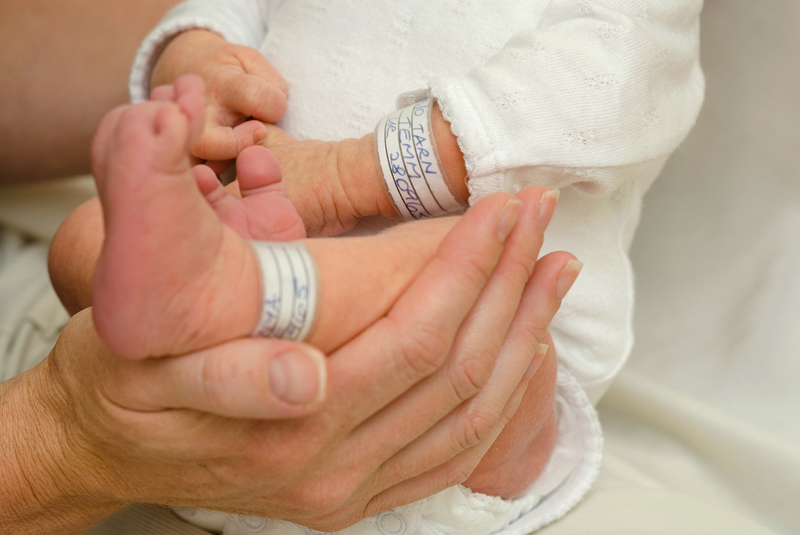 "All neonatologists know this is a problem, but weren't able to quantify it," says Jason Adelman, an internist and patient safety officer at Montefiore Health System in New York and an author of the study. Researchers compared the rate of so-called retract-and-reorder events in the years before and after the intervention. Retract-and-reorder is a tool that uses the hospital's computer system to flag medical orders retracted by a health care worker and then placed by the same worker on a different patient within a short time period. There was a 36 percent decline in those RAR events in the year after the intervention compared to the earlier period. One caveat is that the RAR tool isn't measuring errors, but near misses. "Say I'm driving down the highway and I almost take the wrong exit but then swing back into the right lane and take the correct exit later," says Gautham Suresh, a neonatologist who is chief medical officer of Texas Children's Newborn Center in Houston. "RAR is catching those times when I almost took the wrong exit." RAR also slightly overidentifies wrong-patient errors because it includes some false positives, the authors note. "Ultimately, we want to prevent harm," says Suresh. He calls the research innovative and says it moves the field forward, but that it's not yet clear whether this system should be recommended for use elsewhere. The issue, he says, merits attention. "The way we name babies in the hospital has to really be thought of very carefully," says Suresh. Adelman says while this study looked only at computerized orders, the new naming system also has the potential to lower the rate of other kinds of errors, like grabbing the wrong container of pumped breast milk out of the refrigerator. And Suresh notes that other factors may play into wrong-patient mistakes, such as human distraction or poor lighting. "Patient identification errors are complex, and the name is only part of the puzzle," he says.